As lovely as Saturday was, as rainy and cold was Sunday. We packed our stuff, check out at the hostel, stored our bags at the hostel’s luggage room and went for a long breakfast before we were ready to head out into the rain. 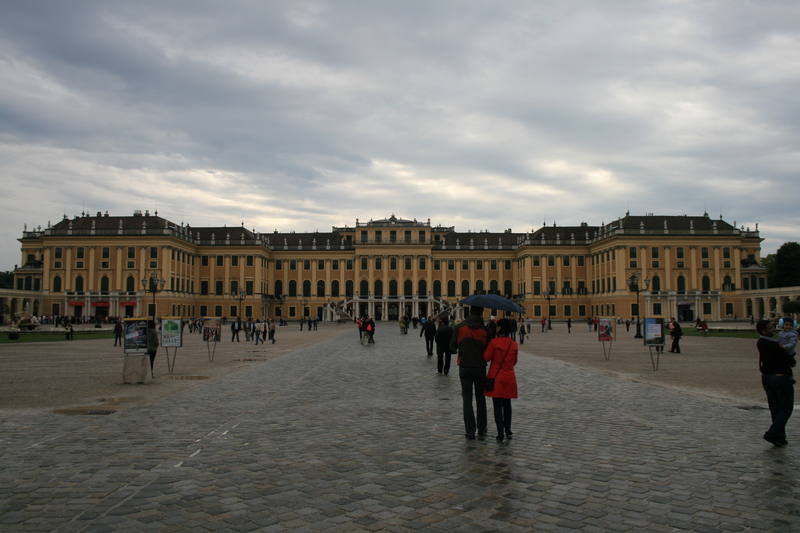 We went to Schloss Schönbrunn, the imperial summer palace by train. The site is easily reachable with the U4, getting of at the stop Schönbrunn. Here you have to queue for tickets that are than time stamped giving you time to explore the gardens first or in our case hiding under a balcony from the rain. Inside the palace at last (after one and a half hour of waiting) we only took the Imperial tour, seeing 26 rooms instead of 40 on the Grand tour. The audio guide they offered was actually quit good but even with time stamped tickets it was very crowded and we were actually happy to be out of there after an hour, having exactly seen the right amount of rooms and heard the right amount of information without being overwhelmed. Heading back to the city center we took refuge in the 50s styled coffee house Cafe Prückel where we had another nice combination of coffee and cake, where it was warm and quiet cosy and from where we only went back to the hostel quickly to grab our bags before we headed back to the airport. 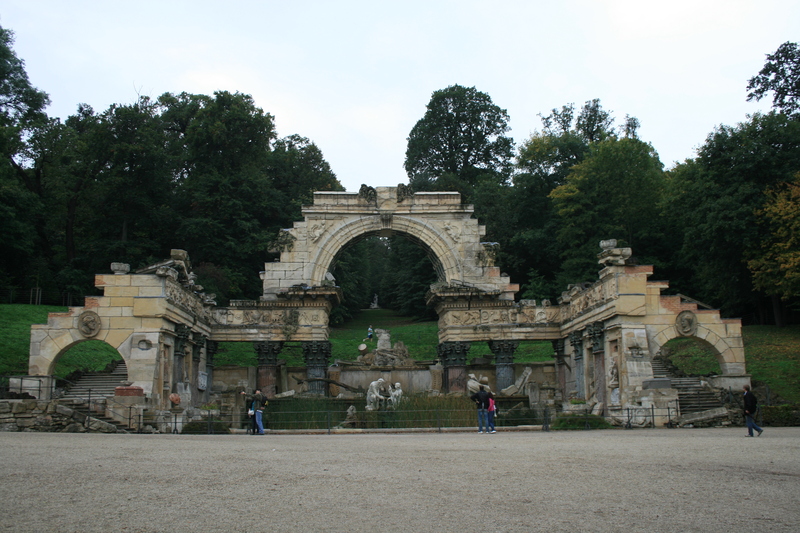 This entry was posted in Austria and tagged Palace, Short Trip, Vienna by kathatravelling. Bookmark the permalink.